It is important to mark one of life’s most emotionally significant moments with something that honours and speaks to our identities. Every Choo Yilin engagement ring is a piece that exemplifies its Asian heritage - be it an homage to classic Peranakan aesthetics through specially designed motifs, or the intricate embroidery and lacework of a kebaya reimagined into a weaved halo of diamonds. It could even lie in the finest details - a handcrafted sakura or bamboo incorporated delicately in the gallery (the area between the main stone and above the shank) of the ring. 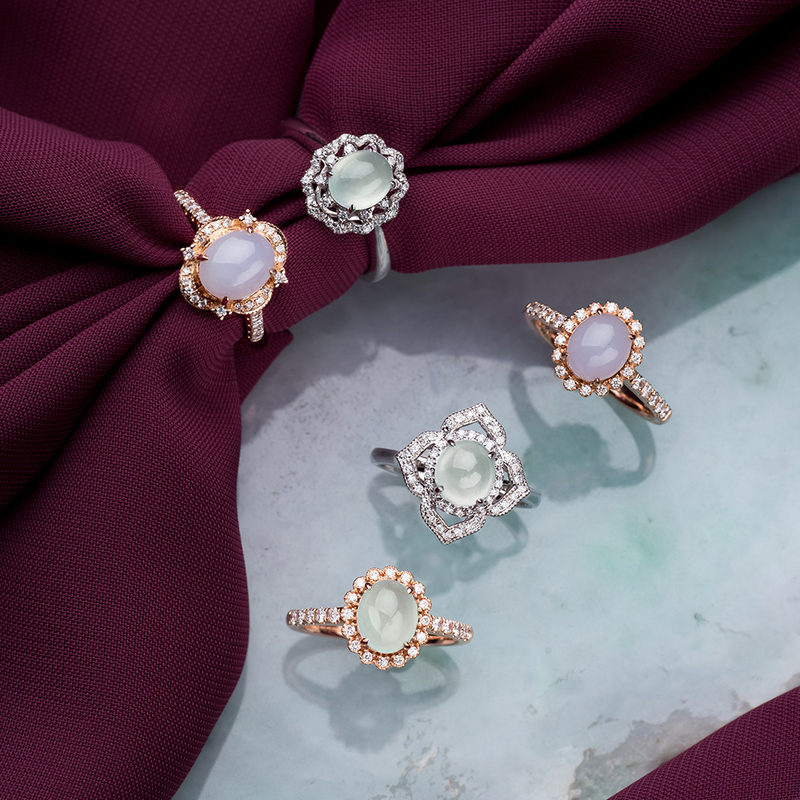 Inspired by the grand display of rich colours present in Asian celebrations, we embraced a spectrum of hues for the precious gems that would be the centrepiece of each ring. Our sourcing team spent years curating natural, unheated precious stones like sapphires, and jade cabochons in one-of-a-kind colour stories. Each gemstone cannot be replicated, they are nature’s marvels and unheated precious stones are extremely rare. They’re regarded by the fine jewellery world as incredibly precious, befitting the gravitas of the occasion. Details that make each ring distinct are exceptionally important for us because the ring should honour how personal, rare, and extraordinary each and every love story is. We’ve dedicated nearly ten years into creating and perfecting the Choo Yilin engagement ring, and through this vast time frame of research and development, we’ve learned how vital comfort truly is. After all, this is the ring that will be with you for decades, and may well be passed on to the next generation. That is why, before the pieces are launched in our Flagship Boutique, every design is road-tested multiple times by different members of our team to ensure that you wear the ring, and not have the ring wear you. Our founder, Yilin, began designing and creating bespoke engagement rings more than ten years ago, even before the brand was born. 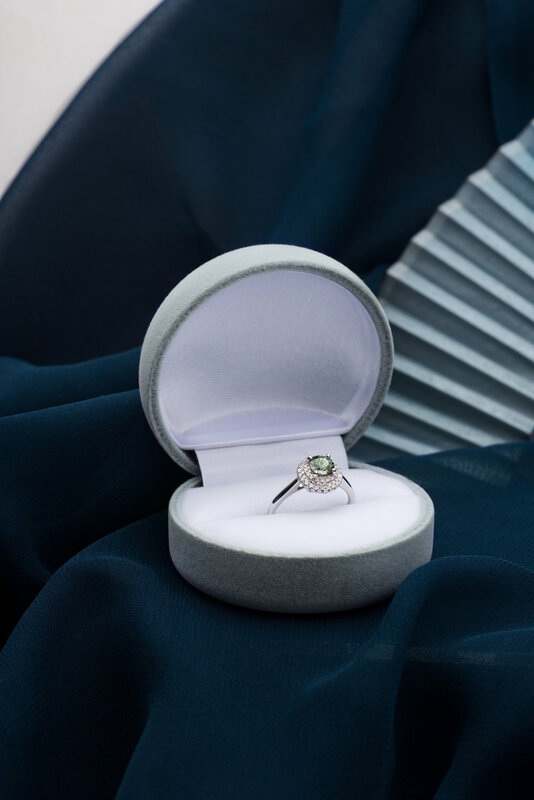 Under her careful guidance, the Choo Yilin team has worked closely with clients to create bespoke rings that are one-of-a-kind, and designed to honour how special each couple’s romance is. What the brand has discovered after all these bespoke projects is that, while no two love stories are alike, they share a crucial aspect: their heritage shines through. This knowledge left such a profound impact on the brand that we, as jewellery storytellers of Asian heritage, love, and becoming, were moved to create a collection of ready-to-wear engagement rings that pay homage to life’s most treasured gifts: love, and our heritage.